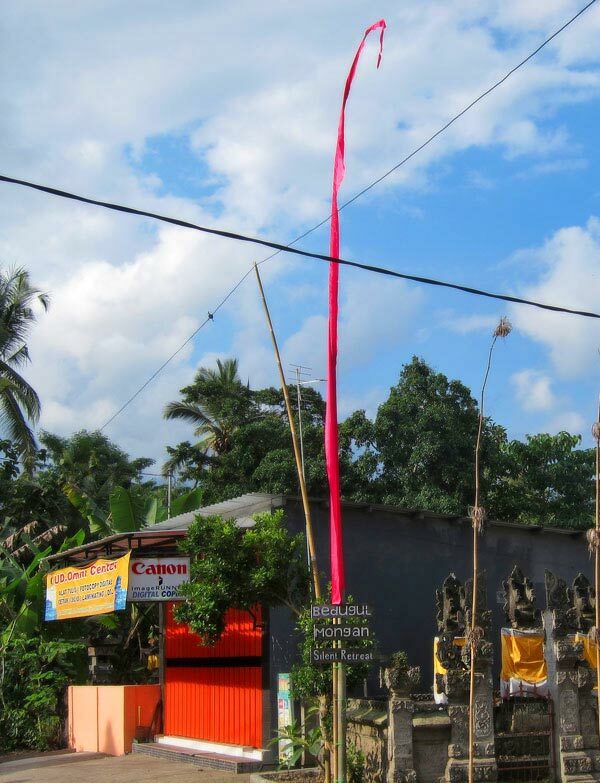 Bali Silent Retreat is located 1.5 hours Northwest of Ubud and 2-2.5 hours North of Denpasar airport by car. 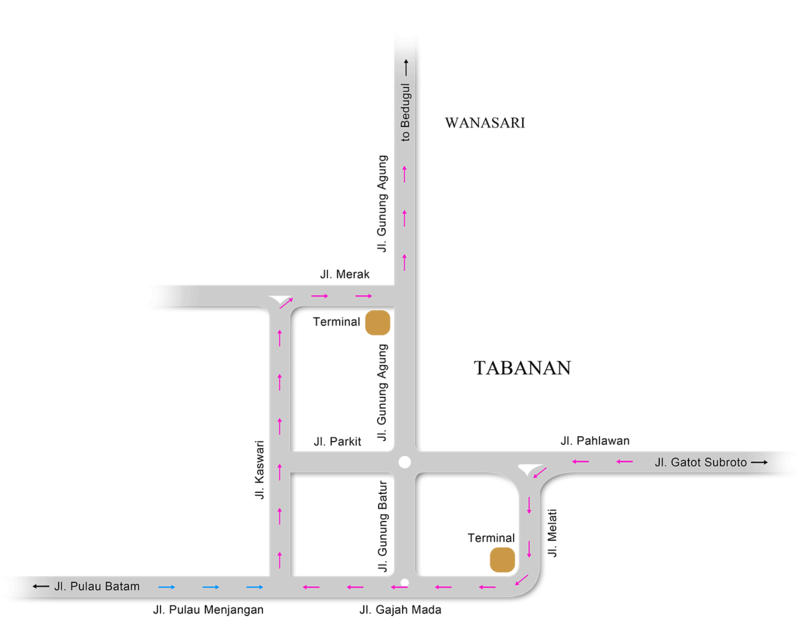 The airport is in Denpasar (airport code DPS), the Ngurah Rai airport. Note: You must arrive at the retreat, at the latest, by 4pm and have check-in completed by 5pm. Office closes at 5:30pm. You’ll receive an email about transport approx. 24 hours after your booking confirmation. DAYPASS ONLY: You will need to book a DayPass to enter for the Day — with an orientation tour. If you want to just walk around and check it out, send an email to bsrbookings@balisilentretreat.com, asking for a tour; the staff will prepare for your arrival and organize a tour for you. Sorry— “drop ins” aren’t practical, as our guests are in silent sanctuary, as well as, the kitchen harvests our organic veggies and prepares for a specific number of guests. Public tours are on Tuesday and Saturday at 10am. GOOGLE MAPS: Be careful using Google Maps to navigate, as it sometimes takes you by way of a washed out bridge or major road construction. 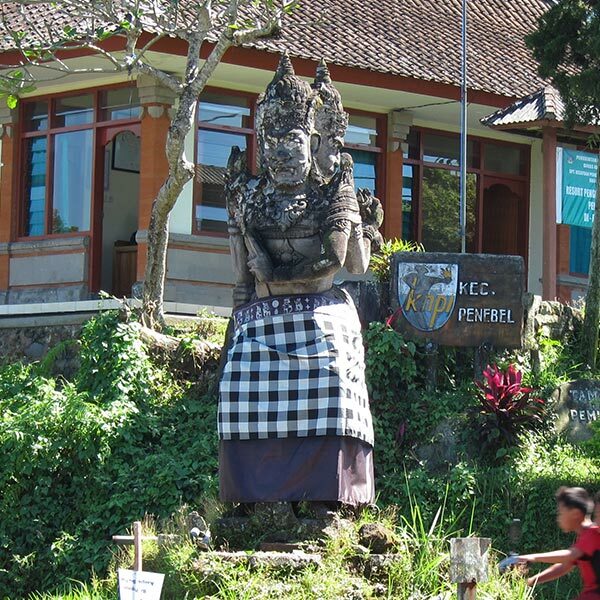 If going to Ubud: go through Beringkit and Mengwi first. Our Transport Coordinator (Baby Ketut) will email you within 24 hours after making your booking, to help with your transport needs. NOTE: If you do Not receive an email confirmation look in your Spam/Junk folder. Please NOTE: If calling Baby Ketut, please check the world clock for the time in Bali, so you don’t call in the middle of the night. Bali is in the same Time Zone as Singapore which is easy to find. He needs at least 24 hours notice to arrange your transport. 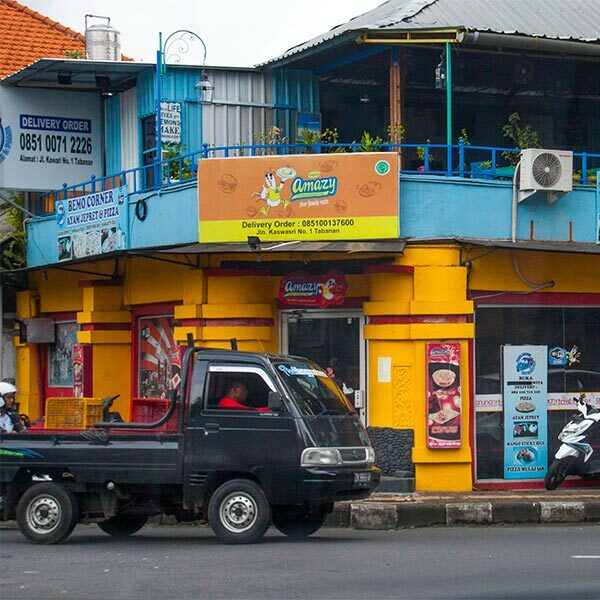 Airport/Denpasar pick up US$45; drop off US$40. Please try to pay by cash; driver does Not have card machine in car. Please arrive to the retreat before 4pm. Your flight will need to arrive at Denpasar Airport by noon: (One hour to pass through immigration and two hours for the car trip to the resort, and 1 hour for check-in and a full site orientation.) Our reception office closes at 5:30pm. If you cannot arrive to the retreat by 4pm it is no problem, Baby Ketut, our Transport Coordinator, will recommend a hotel near the airport, for the night and then collect you first thing in the morning so you can enjoy an inspiring introduction to the retreat. It is fine to hire your own driver, but it’s best to ask Baby Ketut to chat with them about directions. We do not encourage you to use Uber. Many guests have reported frustrating experiences with Uber drivers. HELICOPTER: If arriving Bali by plane and you want a speedy delivery, helicopter delivery is an option. 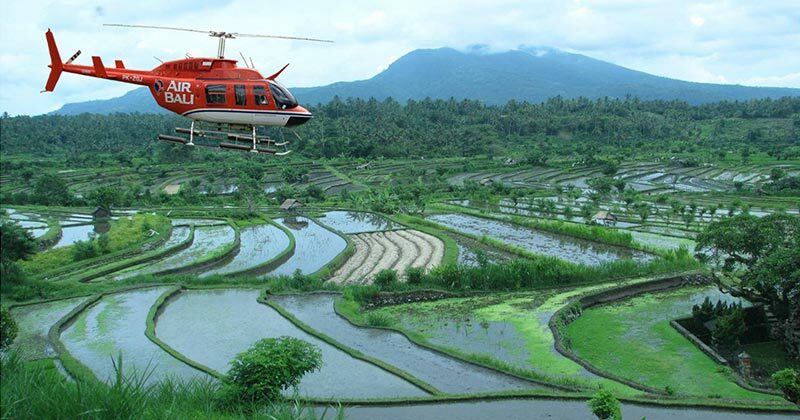 A helicopter flight with Air Bali takes 20 minutes from Denpasar Int”l Airport or Benoa Heliport to our helipad field. They offer complimentary taxi pickup from Denpasar airport to Benoa helipad. A maximum of 6 passengers with total weight, including luggage, is a maximum of 450kg. Visit Air Bali website at www.airbali.com for current contact info and let us know your arrival intentions. You can also drive yourself/hire your own driver to get to the retreat. Again – be cautious of using Google Maps (you may end up in a rice field). Follow the below instructions and pictures. To help with directions call Baby Ketut (+62 852 3734 7608) or Text or WhatsApp, If you get lost or need help, he is happy to help. 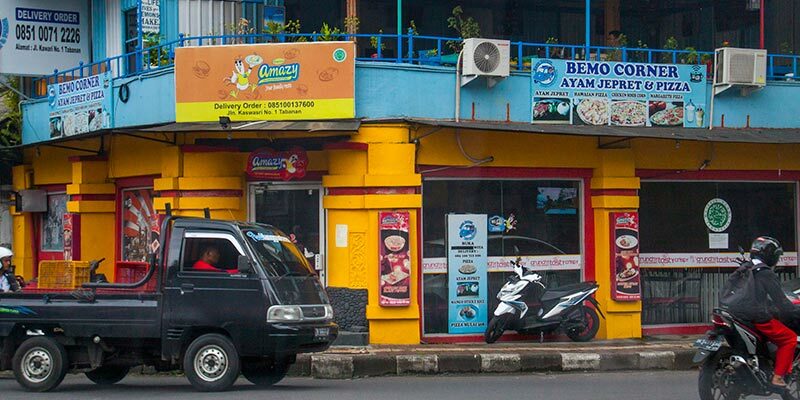 Look for the “Amazy Chicken” restaurant. 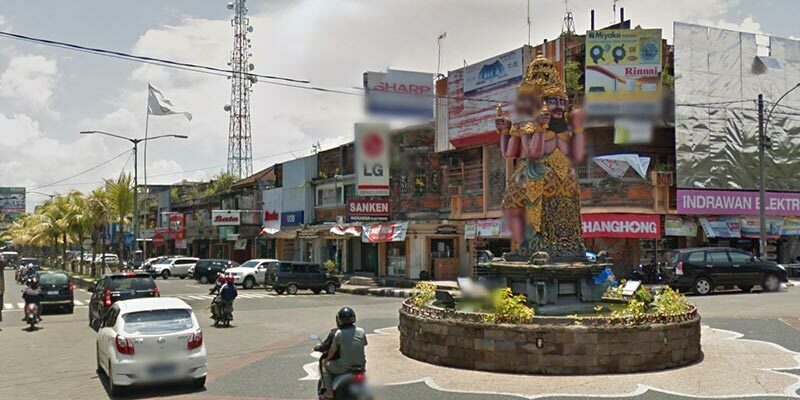 Continue north for 10 kilometers to Buruan, which has a statue in the middle of the road. At the green sign “PR Batukaru, Yeh Panas, Wongaya Gede”, turn left towards PR Luhur BatuKaru (Do not go to Penebel, Angsri or Jataluwi). 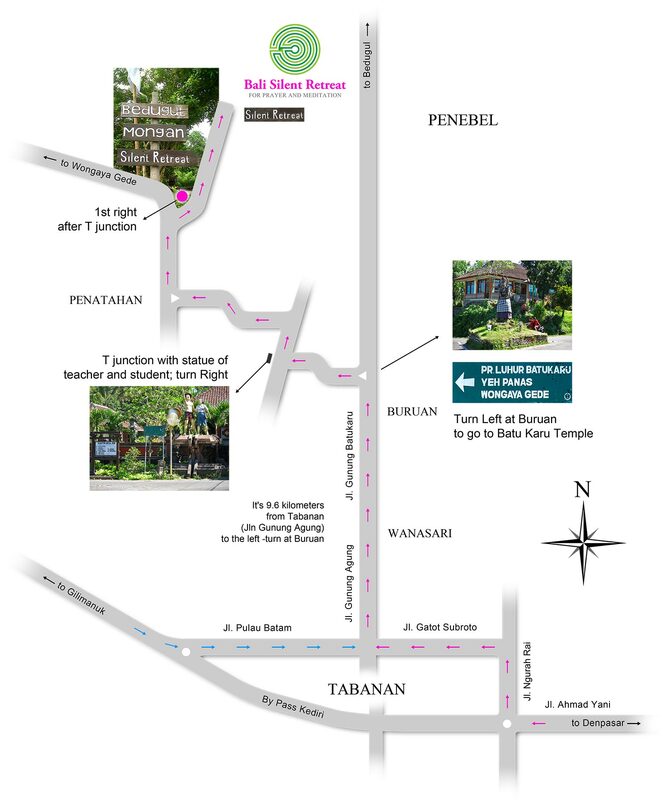 Continue through the small town of Penatahan to another T-junction and turn right. 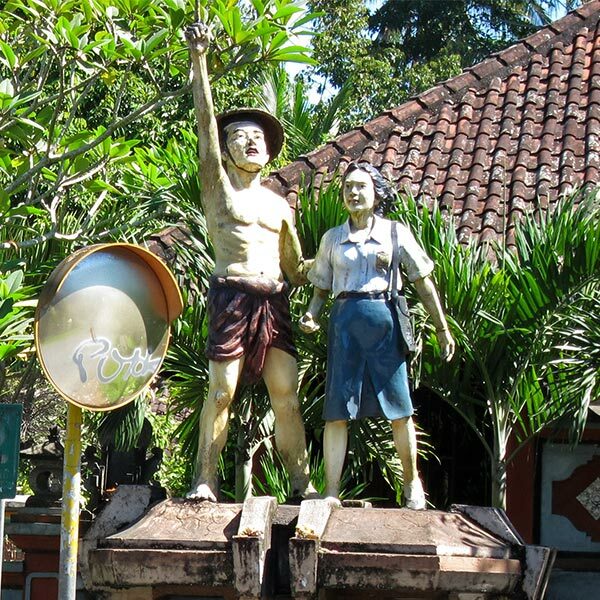 After 500 Meters turn right again at the pink flags and the small signs – “Bedugul, Mongan, Silent Retreat”. 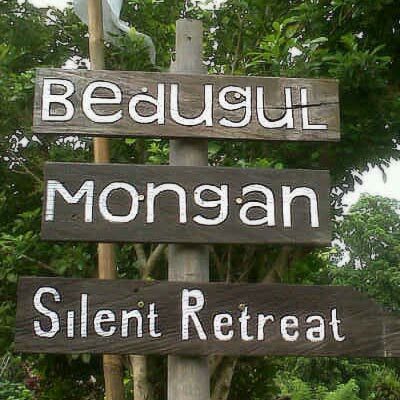 This is the Village Road going to Mongan Village, which will take you directly to Bali Silent Retreat. Look out for a very steep concrete road on the right, with our Bali Silent Retreat sign. If you pass the Mongan Village temple, you have gone too far!